In Ohio, the strip of grass between the sidewalk and the curb is called a “tree lawn.” In other parts of the country, it is a “curb,” a “devil’s strip,” a “parkway,” a “swale,” or a “street lawn.” More than a dozen names for this can be found in the Dictionary of American Regional English. The fifth volume covers words and phrases from “slab” to “zydeco,” and completes a 50-year project to capture the unique ways people in different parts of the country speak. The dictionary has been used to solve crimes, teach medical students, train actors and understand political candidates. Joan Hall, chief editor of the dictionary, and linguist Ben Zimmer join Diane to discuss the diversity of American language. DARE in Photos: All photos courtesy of UW-Madison Archives and reprinted here by their permission. All rights reserved. In the late 1960s, linguistic field workers were sat across the country in word wagons. They collected words and dialects from nearly 3,000 Americans across the country. Their recordings became the basis of a 50 year project called DARE, Dictionary of American Regional English. The 5th volume reaching Z has just become available. “It’s a record of the way that we speak in the United States and it really puts together information about different words, different pronunciations in a way that no other reference work does. And so it’s invaluable in that way. And you can actually look at it as a kind of a social history of the United States by looking at the way that our lives change in different parts of the country. Because the speakers, for instance, that the linguistic field workers were talking to, way back in the ’60s, were often older speakers who were giving examples that could’ve dated back a 100 years ago,” Zimmer said. “When the field workers went to interview the informants in these 1,002 communities, they also asked each person to be recorded. But tape recorders were pretty new then, so some people were a little leery, but most people agreed to do it. They were asked to do two things, one was to read this silly little story called “Arthur the Rat” that was designed, not to make any sense, but to include all of the important sounds of American English. So by having people all over the country read the same passage, we have a wonderful database of comparison. So we can see how they sounded in New England and Central Atlantic and all across the country,” Hall said. Zimmer said that some researchers are now using Twitter in their work because people often identify where they’re from in their tweets, which they can plot on maps similar to the ones DARE has produced in the past. “But instead of requiring all of this laborious fieldwork, we can just make these on the fly, if we’re interested. For instance, where do people say hella for instance? That’s an expression that young folks are familiar with these days as an adverb meaning very. Like if something is hella good,” he said. “Over American history different parts of the country have had different kinds of prestige. And so if there’s a certain prestige associated with a certain part of the country, people will imitate that. So in the very early days, it might have been Boston, New York and that — so that patterns that were common there would then be picked up elsewhere. These days there could be different types of prestige. Among young speakers over the past couple of decades, southern California may be a prestigious variance of English for them,” Zimmer said. You can read the [full transcript here(https://dianerehm.org/shows/2012-03-07/dictionary-american-regional-english/transcript). MS. DIANE REHMThanks for joining us. I'm Diane Rehm. In the late 1960s, linguistic field workers were sent across the country in word wagons. They collected words and dialects from nearly 3,000 Americans across the country. 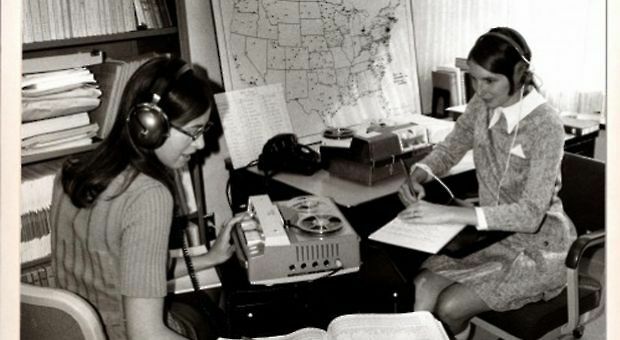 Their recordings became the basis of the 50-year project called DARE, Dictionary of American Regional English. The 5th volume reaching Z has just become available. MS. DIANE REHMJoan Houseton Hall is chief editor of the DARE. She joins me in the studio with Ben Zimmer, language columnist for the Boston Globe, executive producer of the Visual Thesaurus and Vocabulary.com. Do join us. I'm sure you have your own contributions, 800-433-8850. Send us your email to drshow@wamu.org. Join us on Facebook or Twitter. And good morning to both of you. MS. JOAN HOUSETON HALLGood morning. REHMGood to have you here. Joan, this dictionary goes back to 1962. Tell us how it got started. HALLWell, actually, it goes back further than that. HALLIn 1889, the American Dialect Society was founded with the idea that they would do a dictionary of American dialects that would be similar to the English dialect dictionary that was being done in England. But they recognized that this country is so much bigger that it would take a lot of preparatory work. So, for decades, they published journals that had articles, word lists, that scholars put together as they traveled in various parts of the country. HALLBut by the late 1940s, Fred Cassidy at the University of Wisconsin, Madison, was getting a little impatient. So he did a pilot survey in Wisconsin in which he tested out a questionnaire based on these journal articles and found that it worked very well. So he went to the American Dialect Society in 1962 saying, let's go. And they appointed him, and he began the process. So between 1965 and '70, he gathered together 80 field workers who went to 1,002 communities across the country. HALLThese were chosen to represent the population density as of the 1960 census. So there were urban areas, large cities, small cities, villages and rural areas in proportion to the country. And the field workers had to go to these places, not knowing anyone, and find people who had lived there all their lives and who were willing to answer the questions in this huge questionnaire. The questionnaire had more than 1,600 questions. HALLGoing from time and weather and food and clothing and farming and fishing and hunting. HALLYes. And they went from these relatively neutral topics to more sensitive ones like religion and health and honesty and courtship and all sorts of things that have to do with our daily lives. REHMIt's interesting because, already from our own website, we've gotten lots of people commenting on different words and their usage around the country. For example, Steve says, "Here in Bawlamer, Md., people wash their hands in a sink and use camera to take pictures. And in Merlin, striped bass is called rockfish." Ben Zimmer, as a language columnist for the Boston Globe, how did you get involved? ZIMMERWell, I've been a fan of DARE for a very long time. And in my linguistic research and lexicography, working on various dictionaries, I've had a lot of occasion to draw on DARE. And as a language columnist for the New York Times and now for the Boston Globe, I always have DARE ready at hand to try to answer questions about different ways that people use language around the country. ZIMMERDARE is just invaluable in that way. You can sometimes find a record of certain things in other dictionaries like the Oxford English Dictionary, but it won't have the rich detail necessarily that DARE gathers together from its amazing research that it has all in those five volumes. REHMAnd, Joan, you mentioned Fred Cassidy. He was Jamaican born. Is that correct? HALLYes. He lived in Jamaica until he was 11, when his family moved to Akron, Ohio. And he stayed in Akron, even after his parents and younger sister moved back to Jamaica. So he and his brother went to Akron University and then found a home at Oberlin College where they both really thrived. They felt that they became Americans there. REHMAnd we have a slide show with pictures of Fred Cassidy and others involved in the project on our website at drshow.org. You got involved in 1975, Joan. You took over after Fred died. HALLI became an assistant editor in '75, associate editor in '79 and gradually took on more and more of the administrative duties. And when Fred died in 2000 at the age of 92, I was appointed his successor. REHMAnd, Ben, what is it that you find so special about DARE? ZIMMERWell, it's a record of the way that we speak in the United States, and it really puts together information about different words, different pronunciations in a way that no other reference work does. And so it's invaluable in that way. And you can actually look at it as a kind of a social history of the United States by looking at the way that our lives changed in different parts of the country. Because the speakers, for instance, that the linguistic field workers were talking to, way back in the '60s, were often older speakers who were giving examples that could've dated back 100 years ago, actually. ZIMMERAnd so it's this great record of all of sort of the changing ways that we've spoken, that we've words that have come into the language from various sources, very often relating to different immigrant groups coming to the United States and establishing patterns that might be based on, for instance, German settlements or Scots, Irish, and so all these many, many influences in the American melting pot are reflected in this. And then we also see changes as the population becomes more urbanized, more technologized, and that whole change can be reflected just by looking through the dictionary. REHMIt's interesting. Someone posted a message again on our website saying, "After moving to Western Pennsylvania, we were stunned, at first, to be asked if our children were strange, which turned out to mean shy." REHMThey're strangers. You've heard that, Joan? HALLYes, indeed. There's an entry for it in the dictionary. REHMIsn't that something? I never heard that. And another, here in Cincinnati, it says, "We have a pronounced linguistic tick that I haven't encountered any place else. We ask, please, when we mean I didn't hear you clearly, would you repeat that or come again." Have you heard that Ben? ZIMMERI'm trying to think. I'm not sure if I've heard that, but, I mean, it's interesting that little question words are very often localized for certain places. We can think of also the tag questions that people put at the end of sentences in the way that you might say right. In some parts of the country that becomes heyna. That's a Northeastern Pennsylvania expression. ZIMMERPeople from, for instance, the Scranton area would be familiar with putting heyna at the end of their sentence. And that actually reflects an early German influence, and other parts of the country where there was German settlement patterns have similar things. So in Milwaukee, they have ayna, very similar. And so these types of things can be very local. But then, if you consult a DARE, you can find out that they're actually connected in this interesting way. HALLYes. And in Central Wisconsin, it's inso for isn't that so. HALLBut getting back to please, yes, DARE does have an entry for this, and we do say that it's localized chiefly in Ohio, especially Cincinnati. REHMInteresting. Tell us about "Arthur, the Rat." HALLWhen the field workers went to interview the informants in these 1,002 communities, they also asked each person to be recorded. Tape recorders were pretty new then, so some people were a little leery. But most people agreed to do it. They were asked to do two things. HALLOne was to read this silly little story called "Arthur the Rat" that was designed not to make any sense, but to include all of the important sounds of American English. So by having people all over the country read the same passage, we have a wonderful database of comparison, so we can see how they sounded in New England and Central Atlantic and all across the country. REHMSo you've got more than 800 recordings of "Arthur the Rat" on your website. HALLOn a website at the University of Wisconsin, yes. But we had 1,843 recordings. And the other part of the exercise was that the people would not just read this passage, but would sit down and talk about whatever was interesting to them. The result is we have an amazing oral history of our country in mid-20th century. It's a wonderful resource for oral historians, for actors. People use the audio tapes to learn how to reproduce dialects from all over the country. HALLA dialect coach in New York used it when she redid "Oklahoma," using tapes from about 20 different communities in Oklahoma. And it's been a wonderful resource. REHMJoan Houseton Hall, she's chief editor of the Dictionary of American Regional English. Ben Zimmer is language columnist for the Boston Globe. Short break and right back. REHMAnd welcome back. We're talking about the final volume of the Dictionary of American Regional English Volume V. It goes from SL to Z. And if you'd like to join us, 800-433-8850. This is a project that has gone on for many decades and has been used to solve some really interesting and unusual problems. For example, Joan, you talk about Bill Clinton when he was in 1993 making a cryptic comment. He said, he doesn't know me from Adam's off ox. HALLWell, most people across the country would simply say, he doesn't know me from Adam. But in a wide swath across the country, starting in the Appalachians and moving west, many people say, he wouldn't know me from Adam's off ox. Now, if you don't know someone from Adam, that puts it way back in the past. But Adam's off ox is even more remote because the off ox is the one further from the driver. So you have a near ox and an off ox. And the off ox is farther. REHMNow Ben Zimmer, had you known about that phrase when you heard the president say it? ZIMMERNo, no. I mean, I grew up in New Jersey, so I would not have been exposed to that expression. I mean, I find out about a lot of these regional expressions from other parts of the country from reading DARE or from hearing someone use it and then scurrying to find it in DARE. REHMBut what did you think when you heard it? ZIMMERWell, something like that I would have no connection to it. I mean, that's an interesting example, too, where off ox and near ox -- I mean, obviously that relates to the rural past of America when oxen were being used as draft animals. And that's the sort of thing that's really interesting to see because, even though we don't use oxen anymore, an expression like that can linger in the language long after the immediate reference has faded into the past. REHMAnd the fifth volume has a sandwich on a roll being called something different in different places, Joan. HALLYes. This is one of the chestnuts that everybody knows about. We know that in New York, it's often a hero. In New England, it's a grinder. In Pennsylvania and New Jersey, it's often a hoagie. But it's a cuban in Florida, a poor boy in Louisiana and (word?). It's a wedgie in Westchester County, N.Y., a spucky in Boston, a torpedo elsewhere. REHMAnd my father-in-law, who has been long gone, rest his soul, such a dear man, we used to call it a sammich. REHMJust a sammich, and it was such fun when we talked about having our sammiches. Ben, what about dialects in electronic communication? ZIMMERWell, the work that we see reflected in DARE reflects a kind of traditional approach to dialectology that developed where you have the field workers going and giving face-to-face interviews and having questionnaires, this kind of survey style. And that is all extremely valuable. But these days we can actually look at language use online and actually find out new things about the way that people are speaking in different parts of the country. REHMShort for hell of a.
ZIMMERHell of a, sure, but then it's not used necessarily the same way as hell of a. You can say he's a hell of a guy, but you can't say that is hell of a good. ZIMMERSo it has this interesting pattern of usage. ZIMMERRight. And hecka is another variant of that. You can see that something like that may have started in Northern California. It's attested from the '80s and spreading from California. We can actually see the way that this spreads just by looking at how people are using it on Twitter. HALLAnd there's a very nice contrast because, in New England, it's wicked good. REHMInteresting. All right. We have "Arthur the Rat" recordings from Brooklyn, Georgia and Wisconsin. Let's hear them. NARRATOR 1Once upon a time, there was a young rat who couldn't make up his mind. Whenever the other rats asked him if he would like to come out hunting with them, he would answer in a hoarse voice, I don't know. And when they said, would you rather stay inside, he would say yes or no, either. He'd always shake making a chase. NARRATOR 2Once upon a time, there was a young rat who couldn't make up his mind. Whenever the other rats asked him if he would like to come out hunting with them, he would answer in a hoarse voice, I don't know. And when they said, would you rather stay inside, he wouldn't say yes or no, either. He'd always shake making a choice. NARRATOR 3Once upon a time, there was a young rat who couldn't make up his mind. Whenever the other rats asked him if he would like to come out hunting with them, he would answer in a hoarse voice, I don't know. And when they said, would you rather stay inside, he wouldn't say yes or no, either. He always -- he'd always shirk making a choice. REHMAnd there you have it, three readings of "Arthur the Rat," first from Brooklyn, second from Georgia and third from Wisconsin. What are the major differences you hear, Joan? HALLWell, several of those words are particularly interesting, and you can tell they were put in just to make sure that people said them. Early in the recording they say, wouldn't make up his mind. So is it mind, is it mind, is it mind or mind, or shirk making a choice, shake making a chase? These words are wonderfully variable from place to place. REHMAnd in what year would those recordings have been made? REHMSo as you said, the recording device is fairly primitive in terms of today's technology. What was your reaction, Ben? ZIMMERWell, I find this fascinating, too, because we can hear that there's very distinct dialects from different parts of the country, but those dialects are changing so there are some elements that I heard, pronunciations of vowels which would've been much more common 50 years ago in these different regions than now. ZIMMERSo, for instance, the Brooklyn speaker pronouncing choice as something that sounded a bit like churse, that is a historical sort of, you know, pronunciation of that diphthong associated with New York and with Brooklyn. You don't hear that often these days. So that shows that, you know, even though speakers from different parts of the country speak in different ways, the ways that they speak are constantly evolving. And something just in the way that a vowel is pronounced can change from decade to decade. HALLAnd that's one of the reasons these recordings are so valuable because contemporary researchers can make recordings of the same passage now for someone in the same place and do digital comparisons to see just how language has changed in terms of pronunciation over the last 50 years. REHMYou know, it makes me wonder about telephones and the way people speak on telephones and how email is being used instead of telephones. So are we going to lose some of the identification of those regional dialects because of online communication? HALLI don't think so. The regionalisms that persist are the words and phrases we use with our friends and our families, not the ones we use in writing, not the ones we necessarily use at school. But they're often things that we don't even realize are different from some other part of the country. So if you call your parents your oma and ompa or your murmur and morfar or your mammy and pappy and mima and papa, those are things that are not going to change because of the media. These are intimate parts of yourself. ZIMMERI would agree with that, but I would also just point out that, even when we're communicating online or through instant message, there are regional variations just in the way that we write things. 'Cause very often the more informal styles of online communication, like Twitter, involve nonstandard spellings that often reflect nonstandard pronunciations. ZIMMERAnd so if someone in California writes the word cool as coo, C-O-O or maybe K-O-O, or if someone in New York spells something as suttin, S-U-T-T-I-N, those reflect regional pronunciations of those words. And they can sometimes be reflected even in what we write if we're writing in an informal casual way online. REHMHere's an email which says, "My wife just gave me Volume V of DARE, finishing the set I started, in a used book store in Chicago back in 1990. I love the series. I use it to figure out what my 94-year-old mother, a native of central Kentucky, means when she uses some of the sayings from her childhood, like calling someone a shite poke or saying that her day was as dull as a froe." REHMBut what is a shite poke? HALLA shite poke is a bird that, I believe, defecates as it flies up from the creek. REHMAnd what is a froe, F-R-O-E, dull as a froe? HALLThis is an old woodworking implement. I can't describe it exactly, but you use a froe, I think, to make shingles, perhaps. REHMInteresting. All right. We've got lots of callers. Let's go first to Luanne who's in Orlando, Fla. Good morning. You're on the air. LUANNEGood morning. How are you doing this morning? REHMFine, thank you. Go right ahead. LUANNE...what I find interesting is when I was an air traffic controller in the Navy and for the FAA, I got the opportunity to live in a lot of different parts of the country. I'm from Arkansas originally, but I lived in Texas and Oklahoma and California and Washington State and now in Florida. And I heard a lot of different things, especially talking like you have written in your description online about a swale and a curve and parkway. LUANNEAnd I've heard all of those in different states. And it's interesting to see how you put them together in the DARE dictionary. Do you have -- talk about things like down the road a piece and over yonder, which I get (word?) on all the time? LUANNEIt's just really interesting how you get kidded about colloquialisms that you grew up with. LUANNEAnd my speech is not purely southern. It gets more southern when I get tired. But a lot of people at first don't realize that I'm from the South. And then when I throw in something like, oh, well, it's over yonder or down the road a piece, they look at me like what planet did you just walk off of? HALLYes. I found when I was doing fieldwork in Georgia that, unbeknownst to me, my dialect became much more like the people I was talking with. And I didn't listen to the recordings until a number of years later. And I couldn't believe that it was my voice on these recordings. REHMYou know, I grew up right here in Washington, and my early recordings reflect a far more southern speech than they do now. You're listening to "The Diane Rehm Show." Luanne, thanks for your call. And to Marsha in Potomac, Md., good morning. You're on the air. MARSHAGood morning. Hi. Thank you for taking my call. MARSHAI'm really excited to be able to ask this question because there's a phrase that drives me crazy lately. It's I mean. And it's replaced well at the beginning of sentences, and it interjects all the time. It's replaced you know. I think Ben even said it once. And I'm wondering where this came from. ZIMMERI don't know exactly where it came from, and I always thought that my little verbal tick was more you know than I mean. I probably use both. These are filler words that occur in pretty much all languages. All major languages have some version of this. And so they serve a kind of a discourse function. I just used um. That's another example. ZIMMERThese may have regional variants within English. Something like I mean or you know is pretty widespread. We wouldn't expect that to be localized in one place, at least in American English. But you'll find different filler words in different styles of English around the world and other languages as well. REHMThe other thing I've noticed is that when someone starts to answer a question they'll precede it with so. Have you heard that? HALLOh, yes. The last decade or something, it's been very, very prominent. REHMWhy do you think that is again? Is it, as Ben said, simply a filler to allow a person to think? HALLWell, that usually comes at the beginning of a phrase or sentence. HALLSo I think what happens is that you're telling the person that you're going to say something. So what do you think of this? And it just introduces and gets the person's attention. ZIMMERRight. People tend to expect that to occur adjoining two thoughts. You say one thing, so that leads to another thing. But when someone starts off by just saying, so let's take a look at this, it isn't -- there's nothing before it that it's connecting, and so it's changing perhaps from a kind of connector to something that's an introducer. REHMBen Zimmer. He's language columnist for the Boston Globe and former On Language columnist for the New York Times. Short break. We'll be right back. REHMAnd welcome back. Here's a wonderful tweet. "Is there a location that is particularly influential, and does language spread from any central locations?" Ben. ZIMMERWell, over American history, different parts of the country have had different kinds of prestige. And so if there's a certain prestige associated with a certain part of the country, people will imitate that. So in the very early days, it might have been Boston, New York, and that -- so that patterns that were common there would then be picked up elsewhere. These days, there could be different types of prestige. Among young speakers over the past couple of decades, Southern California may be a prestigious variance of English for them. ZIMMER...and surfers and things like that very often are appealing not just in California, but more widespread than that. And so we have certain stereotypes of the way that those speakers use words like like, for instance, in their speech. And so there can be kind of a national effect from different regions. ZIMMERBut very often it can be much more regional than that, so that, for instance, there could be certain ways of using vowels in the Great Lakes region, for instance, so that cities like Chicago and Milwaukee and Buffalo, sort of around the Great Lakes, there can be what's called the Northern Cities Vowel Shift is an example where the vowels that are pronounced in those cities end up becoming more widespread throughout that whole area surrounding the Great Lakes. ZIMMERAnd that's a pretty recent change actually over the past half century or so. It's an example of how language continues to change. Even though we like to think of becoming more homogeneous, in some ways these changes actually are happening that create more differences, more variations in the language. REHMBut, Joan, how does something like repetitious use of the words you know get started? I mean, I hear young people using it almost every other phrase. And then you go to another young person doing the same thing. How does that happen? HALLWell, I think it's a crutch. It gives us a little time to think of the next thing we're saying. When I was growing up, you know was very, very common as a filler. But what I find now among younger people is particularly like. I'm, like, you know, I went to town and, like, there were three people there, and, like, I went to the show. And it's very interesting how dominant it can be in a person's colloquial speech. REHMAnd then you wonder how long such colloquialisms last. Is there sort of a period of moving into peak and then fading, Ben? ZIMMERThere can be, but there's really no one set pattern. These things can have a very brief life, or they can last for centuries. It could be hard to predict what sorts of regional patterns will catch on and become perhaps associated with a particular region or spread beyond that. Some things that have become more standard in American English might have started off as a regional pattern. ZIMMERAnd so as DARE actually shows, if you look at any particular entry, they can have very different types of biographies basically. They can stretch back hundreds of years, or they could be just something that popped up in the mid-20th century. ZIMMERAnd they can spread in different ways. Again, it often has to do with the way people migrate from different parts of the world to the U.S. and within the U.S. to different regions, and rural speakers bringing in expressions to urban settings. ZIMMERAnd so all of that is in DARE, and there's just a lot of diversity in the way these things develop. REHMAnd, Joan, this fifth volume and all the volumes really goes way back. HALLYes. Like the "Oxford English Dictionary," DARE is a historical dictionary. And what that means is that we're not focused only on that 1965 to '70 period when we did the field work. But for every entry, we try to find the earliest known citation in whatever form, whether it's a diary, a newspaper, a government document, and include that and as many as other citations as necessary to give the whole history of the word. And when it's still in use, we try to find the most contemporary one as well, so volume five, which has a 2012 pub date, has some quotations from 2011. REHMWonderful. All right. To David in Morrison, Ill. Good morning. DAVIDMorning, all. My grandmother always used to talk about how she went to Chautauqua back in the early 1900s, and a man there could pinpoint where you grew up or lived by your dialect and the words you used to the point where he could almost pick out exactly what town you were from. And even in the '50s, my dad said the dialectical variations were very prominent in the United States. And you kind of touched on the point of how things are getting more homogeneous. DAVIDAnd I also remember the newscasters were trained to speak more in the Midwest dialogue 'cause it was devoid of inflections compared to other dialects. And then just one quick personal note, I remember being down in Mississippi and telling a restaurant worker -- I said, how's it going? And she just looked at me peculiarly and said, I'm sorry, sir. I just don't speak your language. REHMJoan, what do you make of that? HALLWell, years ago, there were people who were particularly good at identifying people based on their pronunciation and sometimes on vocabulary items. A man named Toxy Smith was especially well known for that. It's less easy to do that now because of changes in pronunciation patterns, but there are still some folks who are quite good at it. It depends to some extent on what words a person uses. If there are some of these stereotypical ones that immediately set off bells in our heads, it's easy to do. But in most cases, it's a little tricky now. REHMTo Lansing, Mich. Good morning, Anthony. ANTHONYHi, Diane. Thank you for taking my call. ANTHONYSo I've lived most prominently in three different places. I grew up in Albuquerque. I lived for about a year-and-a-half in Hattiesburg, Miss. And I've lived in Lansing area for a little over seven years now. And one thing I really noticed was that slang, particularly among younger people, teenagers and young college students, really sort of travels throughout the country. My two biggest examples that come to mind are the bomb and my bad. Those are phrases that sort of came around in different places at different times. ANTHONYAnd then, going back to what you were talking about with sandwiches earlier, you kind of jarred my memory. My mom in Albuquerque -- she's native to Albuquerque -- has always said sangwich instead of sandwich. And I was wondering if your commenters -- your guests could comment on those. And I'll take my answer off the air. HALLWell, we do have an entry for sandwich, which includes lots of variant pronunciations, including sammich and sangwich and others as well. REHMOh, you've got sammich, too? REHMOh, for heaven's sake. Ben. ZIMMERWell, the examples that the caller gave of youth slang, the bomb and my bad, those are both good examples of slang forms that originated in African-American English. We were talking about how these things spread from different sources. And African-American English has been an extremely important source for new forms of American slang. So something like my bad as a way of apologizing, that goes back to, I believe, the 1980s, it's been found. REHMI think it's sweet. My bad is sweet. I used it on the air the other day after I had made an error. And somebody criticized me immediately in an email for using it, but I think there's a sweetness about my bad. ZIMMERYeah, I find it incredibly useful, too. I mean, it's a nice terse mea culpa that you can use. Some people might have a problem with the adjective bad taking on this use as a noun. When words change from one part of speech to another, that often sets off warning bells for people saying that's not right. ZIMMERPeople shouldn't be using that. ZIMMERBut it's all a part of the vibrant changes that happen in the language. REHMAll right. To Durham, N.C. Good morning, Jennifer. JENNIFERGood morning. I wanted to call and ask about a word I had heard used at my daughter's school. She was getting ready for her Christmas winter program, and the teacher asked all the students to bring in a toboggan for the program. And being as I grew up in Michigan, I thought it was an odd request to ask for a sled to be brought to their winter program in North Carolina, being as we don't get much snow here in Durham. JENNIFERAnd I found out later that it was a winter hat or, you know, one with a pompom on it, and I was very surprised. And I had never heard that before. Is that a North Carolina variation, or is it from somewhere else? HALLIt's certainly in North Carolina, and that may be the focus. But it's in many other places in the south, and south midland as well. And I was very surprised to hear it for the first time, but as I began looking at the evidence, it became clear that this is a set usage. And it probably comes from the fact that when you go tobogganing you wear a particular kind of warm hat. HALLAnd it was first called a toboggan hat or a toboggan cap, and then people just truncated it. So they talk about toboggans. REHMSo, Jennifer, did you send your daughter off with a sled? JENNIFERWell, no, actually, I went into class and asked the teacher, after I puzzled by it. But we did have a sled we could bring. Being from Michigan, I've got one in the house that used to be mine. But, no, she went with the cap and so did all the other kindergarteners at our school. REHMThat's great. Thanks for sharing. REHMBye. And to, let's see, University City, Mo. Good morning, Kelly. KELLYGood morning, Diane. Thank you for taking my call. KELLYMaybe your guests could help me out. My grandmother, who was born in 1919 in central Missouri, but in a very southern kind of part of central Missouri, instead of saying I'll be darned or I'll be whatever, what the men probably would've said, she would say, well, I'll swan. KELLYAnd then what I -- yeah, and I always -- of course, it's not written down, so we always thought, well, is that like I will swan? KELLYBut no one knew what -- I mean, we knew what she meant, but I just wanted to know, have you heard that before? HALLYes, indeed. There's an entry in volume five, as well as one for swanee, as in I swanee. And probably these both go back to Scot's dialect terms as truncations of I shall warrant you. HALLI swan. I swanee. I shall warrant. I shall warrant. I shall want. I'll swan. REHMAnd I'm still confused as to exactly what it means. Does it mean, well, my goodness? REHMYeah, I declare. And you're listening to "The Diane Rehm Show." And to Alton, N.H. Good morning, Jeanie. JEANIEGood morning, Diane. Thanks so much for taking my call. JEANIEMy question is this. I teach English in Russia, in Russian villages. And I've had to make up a alphabet song because in Russia they take the pronunciation Zed instead of Z. And the children always ask me, why did Americans coming from England change it to Z. When and why? That's my question. And I'll take my answer off the air. ZIMMERI believe that goes back to perhaps late 18th, early 19th century. It's just one of the many changes that happened that separated American English from British English as American English started to develop its own particular character. I mean, you could understand why it might change to Z because so many other letter names rhyme with that. And it certainly helps in the song to have that rhyme. And so you could see how that could take hold and Zed might fade away. Although, of course, it still hangs on in Canada where we often find a much greater British influence given its own history. REHMAll right. And to Louisville, Ky. Charise, you're on the air. CHARISEHi. Thank you for taking my call. This is -- I'm very excited about the dictionary, more excited than the OED. I had a question about what's the difference between American Regional English and slang, or are they the same? HALLNo, they're not the same. And DARE tries very hard not to include slang for a couple of reasons. One is that slang tends to be quite ephemeral. If you think about your high school kids who have really cool words that they use among their friends, as soon as their 10-year-old brothers start using them, they'll stop because slang identifies you as being part of an in-group. HALLAnd so it's changing all the time. And it tends not to be regional. It spreads rather quickly, like the bomb and my bad. So we try not to include those. We try to include, instead, things that are identifiably regional. CHARISEYes, very much so. And I just had a comment about the term I swanee. And I first heard it on an audio version of a children's book called "Spite Fences" that's set in Georgia. And that's where I first heard it. And it sounded like they were using it as kind of an, oh, my gosh or I'll be sort of term. REHMSounds that way. Charise, thanks for calling. REHMAnd we have time, I think, for one last call. To Syracuse, Timothy, you're on the air. TIMOTHYHey, Diane, great show. Thanks for taking my call. TIMOTHYI'm originally from Pennsylvania, and I noticed -- and I'm now living in New York obviously. But what I've noticed, my relatives down there, when they refer to you folks or you guys, they all say you'ns. I wonder if your guests had ever heard that before. ZIMMERYes. That's very distinctive for western Pennsylvania and Pittsburgh in particular. And the history of that, it starts off as a shortened form of you ones in the same way that y'all in the south starts off as a shortened form of you all. And so you'ns is something that people from Pittsburgh say. They're even sometimes called younsers. REHMI love this discussion. It's really opened my mind. Ben Zimmer, he's language columnist for The Boston Globe. He's executive producer of the Visual Thesaurus and Vocabulary.com. Joan Houseton Hall is chief editor of the "Dictionary of American Regional English." That's what this huge book is called. Thank you so much. REHMThanks for listening, all. I'm Diane Rehm. ANNOUNCER"The Diane Rehm Show" is produced by Sandra Pinkard, Nancy Robertson, Denise Couture, Monique Nazareth, Nikki Jecks, Susan Nabors and Lisa Dunn, and the engineer is Tobey Schreiner. A.C. Valdez answers the phones. Visit drshow.org for audio archives, transcripts, podcasts and CD sales. Call 202-885-1200 for more information.